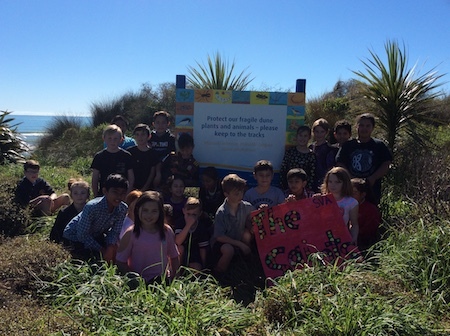 The children enjoyed their volunteer service of planting at Snell’s Beach, Opotiki. The weather was fantastic and we had great parent support. Our day began with a video about dune animals and then the children were able to draw pictures of a dune animal. There has been some great art work done. We then walked to our planting spot, listened to a safety talk and then off we went planting. 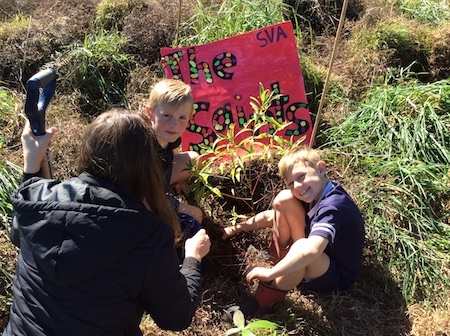 This is the 5th year children from Room 2 have been planting in this spot and its great for the children to see plants that have been planted over these years making good growth progress. 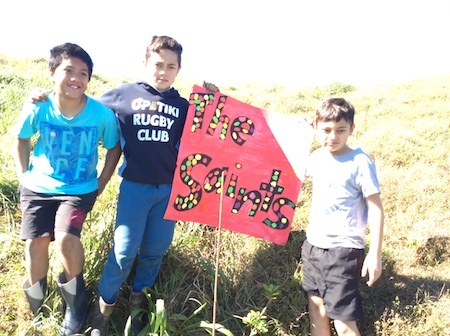 The first photo is of the sign that was created by pupils in 2012. The children were very proud of their sign and made sure that people who drove, biked or walked past us saw our sign by waving and cheering. The planting took place over a morning and we had 80 plants to plant.